Inspired by the flavourful kick of the African Bird’s Eye Chili, Peri-Peri has cooked great-tasting dishes with influences from South America while proudly wearing its Filipino heart on its sleeve. Peri-Peri is the brainchild of local innovator Bryan Tiu. With his burning passion for food, the visionary has brought the many flavours of Asia and the world here in the Philippines through the IFoods Group Inc.
“Our incredible growth in the last 12 years shows just how much our brand is loved. We laid strong foundations this 2017 by improving many facets of the restaurant. And as we welcome 2018, Peri-Peri is set to conquer greater heights and many more discerning palates,” said Tiu. According to Tiu, Peri-Peri’s plans for 2018 and beyond included a “three-pronged approach” to the restaurant’s development. “To sustain our growth in the industry, we strengthened the brand’s major aspects this year. We put an exciting face to our exciting brand, added more creative and sumptuous offerings to our menu, and lastly, aggressively expanded our number of branches to reach more people,” Tiu added. 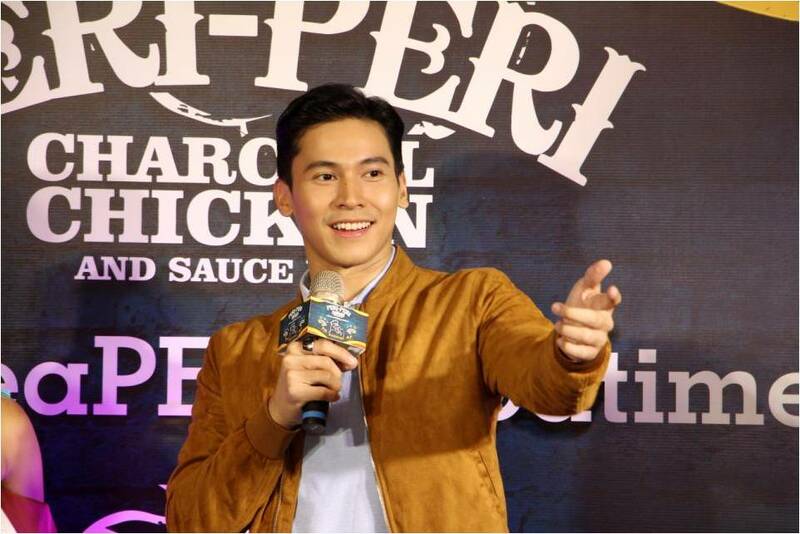 Recently, Peri-Peri has launched a series of online ads alongside TV and Cinema Ads featuring its official endorser, Enchong Dee. Youthful and optimistic, Enchong perfectly matches the upbeat and active energy of the brand. The dynamic actor is well at home with Peri-Peri’s playful atmosphere. “I fell in love with Peri-Peri not only because they offer the best chicken in the Metro but also because of the quality and love they put in every dish. You can just taste it in every serving,” Enchong said. As a true testament of his love for the brand, the actor is also a Peri-Peri Happy Franchisee of UP Town Center, SM Megamall, and Ayala Marquee Mall in Pampanga. Aside from the TV and Cinema ads he starred in, the actor currently stars in a series of videos available online that feature the vibrance of Peri-Peri Charcoal Chicken and Sauce Bar; including one where Enchong dances to the festive moves of the Peri-Peri Chicken Dance. The dance, according to the actor, was inspired by the “inherent fun energy” that you feel when stepping inside any Peri-Peri store. “We wanted to create something inspired by the really festive rhythms of South American street parties and hopefully bring people to their happy place. 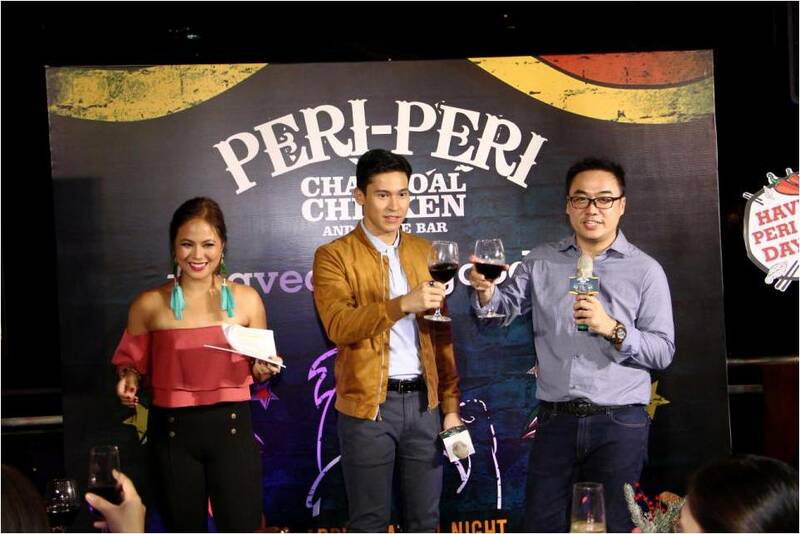 For me, that is Peri-Peri,” Enchong added. In its search for more and bolder flavours, the restaurant also added more than forty new dishes to its already exciting menu. Taking inspiration from the explosive flavours found in South America, Peri-Peri made sure that each dish is tweaked to capture the local taste. A selection of small plates was introduced by Peri-Peri recently. 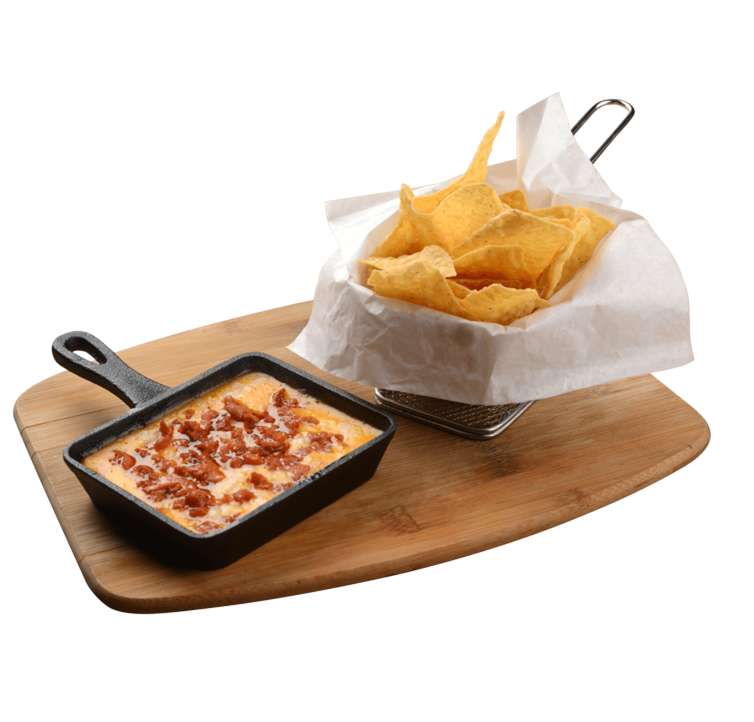 Each item can be enjoyed as an appetizer that complements the already superb chicken and ribs, or as a dish in itself. Don’t be fooled by the name though; they may be small but they pack a mean punch. What’s even more surprising is that these “small plates” are priced at P100 and P150 only. A welcome treat to the growing number of Peri loyalists. 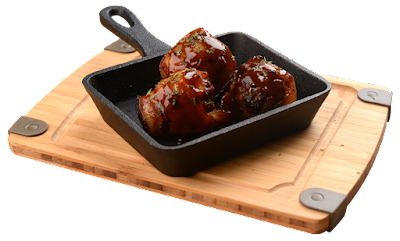 From the glorious Grilled Bacon-wrapped Meatballs to the sinfully delicious Chorizo con Quezo Fondido and the highly-addictive Salted Egg Potato Chips, there are many must-trys to sink your teeth into. For 12 years now, Peri-Peri is mainly known for their flavourful chicken, tender ribs, and memorable sauces. The newest additions though will surely make your dining experience only more indulgent and unforgettable. 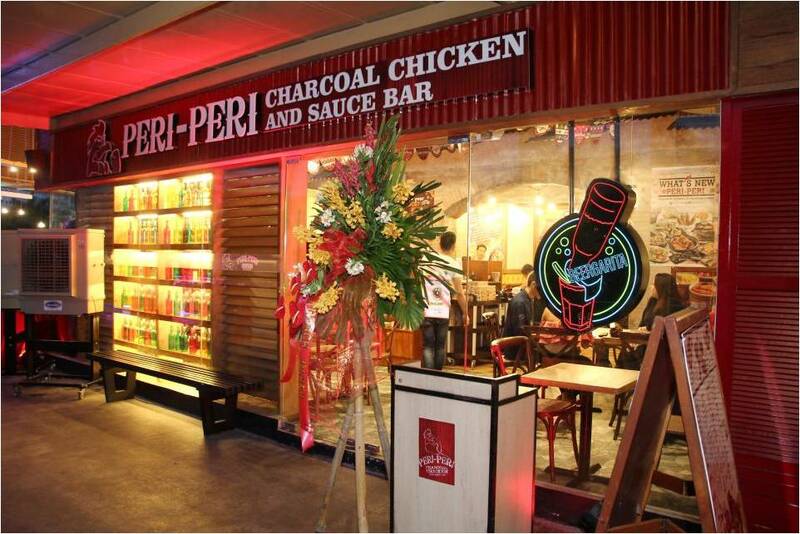 To further bolster its market presence, Peri-Peri Charcoal Chicken & Sauce Bar intends to open up more stores in the coming months. More stores are set to open soon at Ayala Feliz, Marikina; SM Marikina; Okada Manila; Robinsons Manila; Brittany Square, Fairview; Robinsons Magnolia; Banaue, Quezon City; and Resorts World Manila among others. Currently, the restaurant has 17 branches in and outside the Metro. Peri-Peri Charcoal Chicken and Sauce Bar have branches in Nuvali Solenad 3; Alabang Town Center; McKinley Venice Piazza; Uptown Mall BGC; Greenbelt 3; Eastwood Mall; Capitol Commons; Megamall B; Promenade Greenhills; Evia Lifestyle Center, Las Piñas; Gateway Araneta Center; UP Town Center; Trinoma Mall; Ayala Marquee Mall; SM City Bacolod; Meerea High Street Mandaue, Cebu; and the soon to re-locate branch in Myanmar. 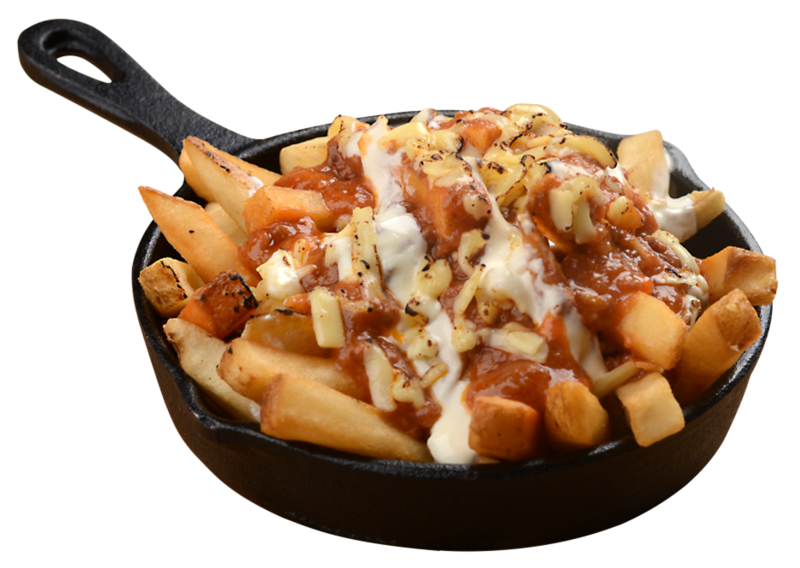 Through a combination of mouth-watering food accented by a playful ambiance; Peri-Peri has built a food empire that is as distinct as it is exciting.